We all know it’s important for kids to read. I already made a push for you to get your kids in front of some books this summer, and I’m guessing many of you already do that… mostly because I’m willing to bet most of you are readers yourselves (you’re here reading my blog, aren’t you? :)). As I’ve shared before, one of my goals this summer is to teach you how to teach your child to be an even better reader! If you haven’t seen the introductory post to this series, please take a look-see over here before you continue. I’m going to continue building on previous posts, so there will be a lot of linking back to help y’all stay caught up if you’re just joining the party! 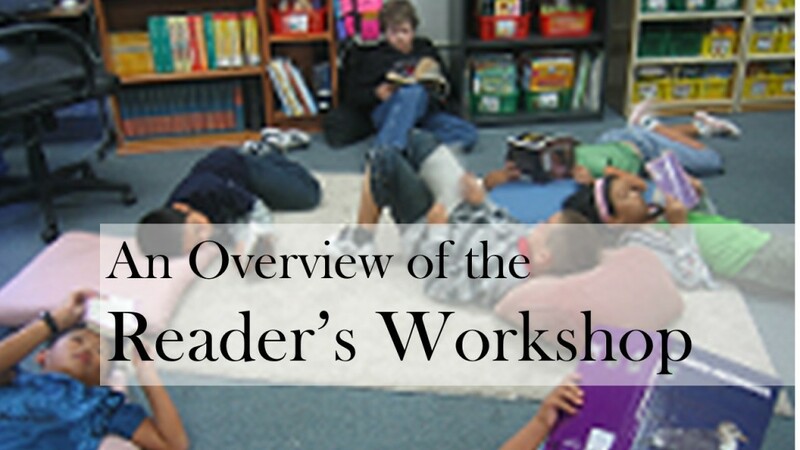 Today’s topic is an overview of the Reader’s Workshop model. Many schools are doing it, and understanding the model better will give context to the rest of my reading posts since this is the approach I used as a teacher. 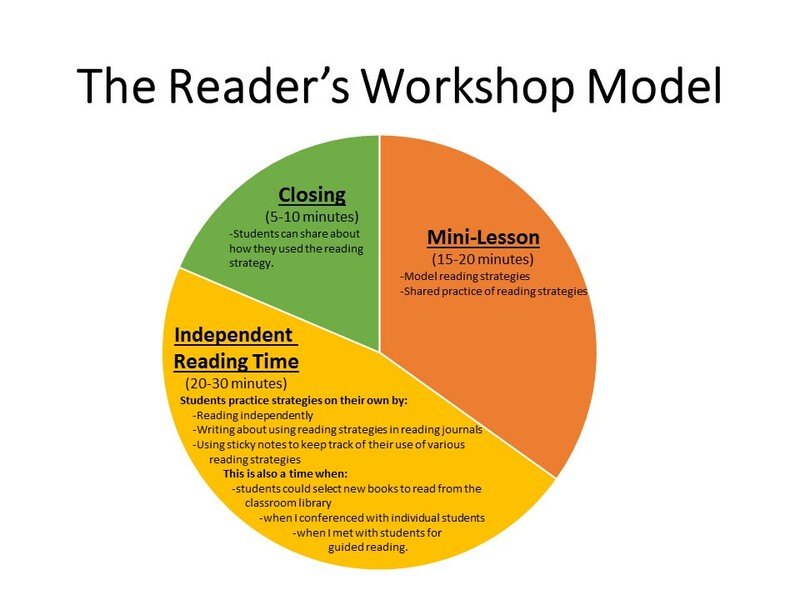 I really like the Reader’s Workshop model. Maybe it’s because that’s how I was trained to teach reading in my teaching program. Maybe it’s because I only applied to school districts that I knew were using it. Maybe it’s because that’s the only way I’ve ever taught reading. But I really, really like it! Good thing, too, because with the new Common Core standards, it looks like a lot of districts are moving in this direction. I’m happy to know that my children will probably be taught with this model, and that if I ever decide to reapply for a teaching position, I at least have this under my belt! You’ve probably heard about the Reader’s and Writer’s Workshop model before, but do you know what your child actually does during this time? While specific activities and lessons will vary from teacher to teacher, day to day, I’d like to give you an overview of what this is all about. You can find a wealth of information about the program online, so for this post I’ll simply walk you through one typical day in my Reading Workshop period. Hopefully this will give you some context for what many of your children are experiencing in the classroom and also give you some helpful background for some of my upcoming posts! The students gather at the rug area, sometimes with their reading notebooks and a pencil, usually empty-handed. I sit in the front and introduce the day’s mini-lesson topic, which is usually a very focused bit of a bigger reading strategy. For example, if the bigger reading strategy is Asking Questions, I might have a focused lesson that considers different characters we can pose questions to while reading: Are you asking the author the question (Why is there only a father in the story, and no mother?)? The protagonist (What are you planning to do with that stolen gem?)? Or just wondering something about the world (Why don’t penguins fly?)? After introducing the initial topic, I would read through some text, usually a story, pausing every so often to think out loud and share the questions that pop up into my head. The students sit and listen and observe my thinking process for the first few minutes, and then I usually switch from modeling the strategy to a time where we share the strategy. Here, I invite students to notice the questions that pop into their own minds and to identify who that question is directed to. I continue reading, and as students notice questions in their minds, they raise their hands to share. I’ll usually call on a few students through the first round, and then read a little more and then instruct students to turn to a partner and share their questions with each other. We may do one or two more rounds of this, and when I’m sure they’ve all got the strategy down pat, I give them a task to focus on for the independent reading period and send them back to their seats. This could be something as simple as, “I want you to notice three questions that pop into your mind as you read today. Write them down on a sticky note and stick it into your book, and we will share our questions afterward.” I review my instructions with the class and then they’re off to work on their own. This is a very typical model for instructional time during both Reader’s and Writer’s Workshops. We begin by modeling a strategy, where the teacher is the only one talking and doing and the students simply observe. Then we move onto a time of shared practice, where students and teachers collaboratively read and think together, sharing with the class and sharing with partners. When students are ready, we give them time for independent practice of the strategy. On a typical day, a student will spend about 15 minutes reading their books, and 5-10 minutes working on their reading letters to me. The weekly reading letters were one of the best ways I got insight into each student’s growth as a reader, since it was unrealistic to conference individually with each student each week. They gave me a snapshot into what my students were reading, allowed me to follow up on strategies we were working on the week before, and also allowed us to have real conversations about books, which I believe promoted their enjoyment of reading. The reading letters were also one of the most time-consuming aspects of my job, as I made it a priority to write each student back every week. Yeah. No. Really. I wrote 30+ letters to each of my 30+ students each week. Talk about hand-cramps! But the students loved getting their reading journals back from me and seeing my feedback every time. In a classroom setting where it’s hard to get 1-on-1 time with your teacher, these letters were about as personal as it got some weeks. These letters were a major component of my reader’s workshop, so I’ll save more information for another post. I don’t think most teachers include weekly reading letters in quite the same format that I did, but I thought it was a really effective part of my program, so I want to show the parent-readers of my blog how you can start these with your child if you’re interested. Writing one letter back to one child a week is much less daunting than 30, don’t you think? =). After I wrapped things up with my last guided reading group or conference, I always meant to close the time with a whole-class conversation. This was supposed to be a time to give students an opportunity to share how their reading time went. I can’t say I was the best about making time for this every day, but when I did, students had the chance to share how they used various reading strategies during their reading time or simply talk about something they had experienced while reading their books that day. If I had asked them to complete a specific task during independent reading time, this would be the time to share out about how they did that. For example, if I had asked students to place sticky notes with questions throughout their book that day, this would be the time for them to share what questions had come to mind as they read. We could have a whole-class discussion talking about their questions, who the questions were posed to, what other ways to phrase the question, etc. The bulk of my posts in this series will focus on different reading strategies for you to teach your child as you do guided reading together with them. Some will feel intuitive to you and/or your child, and others may take some more practice for your child to get the hang of. In my experience, most of the strategies were simply labels placed on natural reading habits I have almost always had as a reader, and I think you will also find this to be the case. While I had always assumed most readers naturally did things like predicting or monitoring comprehension, teaching quickly showed me that a surprising number of students don’t begin doing these things until explicitly taught and prompted. This is where we come in! So sit tight and get ready to learn how to teach your child how to be an even better reader! 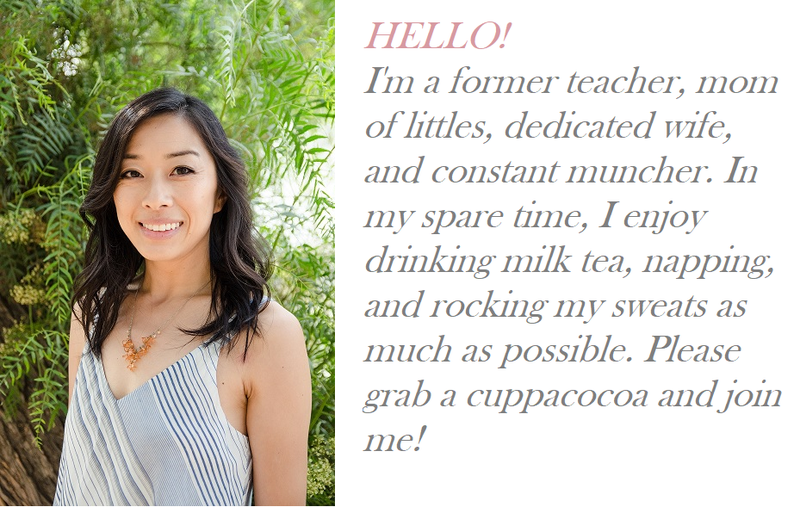 I am a teacher of first grade and always inspired by your articles. I have passed more than one link to your articles to my parents. I’m so interested in hearing about the strategies you’ll be sharing in this series- I hope we see it before the end of the summer. Thank you so much for taking the time to share your wise teaching ideas. Hi Beth! I am SO ENCOURAGED to hear that you appreciate the articles and that you are sharing it with parents! You are the exact people– teachers and parents– that I was hoping to help! I will get them out… perhaps a little slowly, but surely, throughout this summer :). Thanks so much for reading and for taking the time to leave some encouragement. Your feedback and knowing you are finding this useful means so much to me!